It is essential for all adults that work with children to possess the right tools to have a positive influence on their educational and emotional development. This is precisely what is done by the FC Barcelona Supporters Clubs World Confederation, an organisation that has started to organises training, awareness and capacitation workshops for all professionals working in children’s sports through the Agrupació de Penyes, an organisation that brings together 18 supporters clubs in the city of Barcelona and district and that has a total of 250 teams and more than 3,500 young players. The aim of the Confederation is for all agents to be made aware of the responsibility involved in influencing the day to day lives of the youngest athletes and for them to receive complementary training to avoid possible situations of risk in a sporting environment. “It is not a case of training in technical or tactical matters, but of sessions that are useful for facilitating team management and preventing possible conflicts related with such sensitive matters as harassment, leadership and image, and transmitting the values that define FC Barcelona”, says Pau Vilanova, director of FC Barcelona and promoter of this initiative. In addition, through this gesture the Confederation and the Group are taking a further step in their educational commitment to youth sport that has until now been focused on promoting sports workshops for the capacitation of athletes, through clinics, and the transmission of chats with useful information for parents. 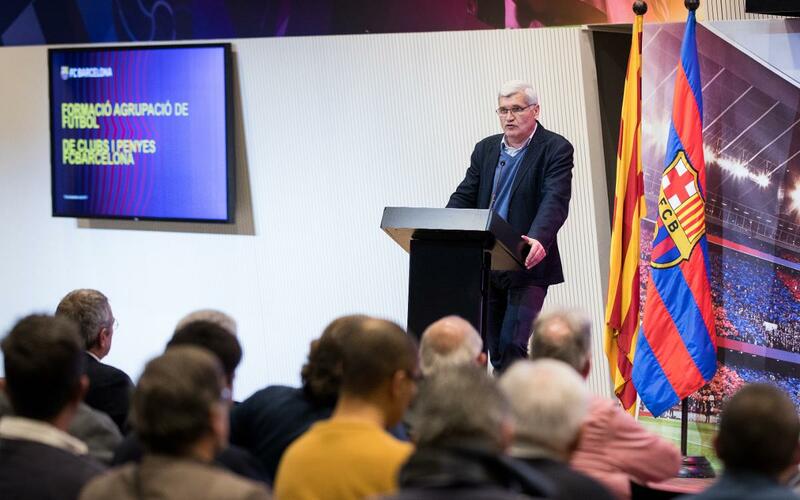 “The aim of project is to capitalise on all of the resources that come from forming part of a club like Barça to nourish the Group’s environment with as many of the best features as possible”, continues Pau Vilanova. Until now, the initiative has gone down very well. The first of these teacher training workshops, focused on the “Compliance Officer” and other legal issues, managed to bring together 100 people last December 19 at the Auditori 1899. The session was led by Sabine Paquer, Compliance Officer at FC Barcelona, who provided the guests with tools and advice on a commercial level in the field of sports with children. It also involved Ramon Arno, lawyer and expert in law of the intellectual society and information society, and Ferran Resina, inspector in the Catalan police force and expert in the technical area of citizen proximity and security. The second workshop, on the prevention of sexual harassment in sport as the core subject, took place over two days on January 15 and 22, in the Masia auditorium at the Ciutat Esportiva, run by Montse Martin and Albert Juncà, coordinators of the Science and Physical Activity Department at the University of Vic. The rest of the programme will be run from February to June at the penyes belonging to the group, and are planned to deal with relevant issues for the child development, such as the importance of nutrition in sport, the fight against bullying, the promotion of different training methodologies, the potentiation of communication skills, the weight of coaching and good leadership. All in all, this project will enable the World Confederation of Penyes to bring all professionals connected to the boys and girls in the Clubs and Penyes Group into closer contact with the Barça values, providing them with a more professionalised, safer and healthier environment for children.